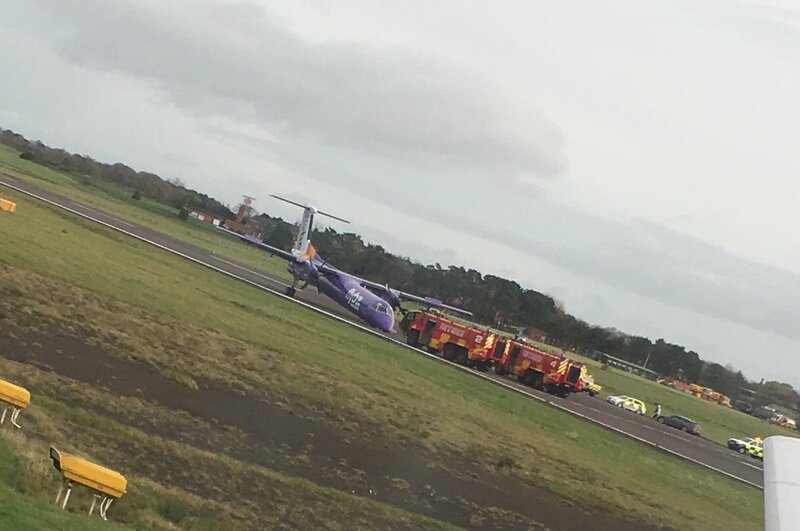 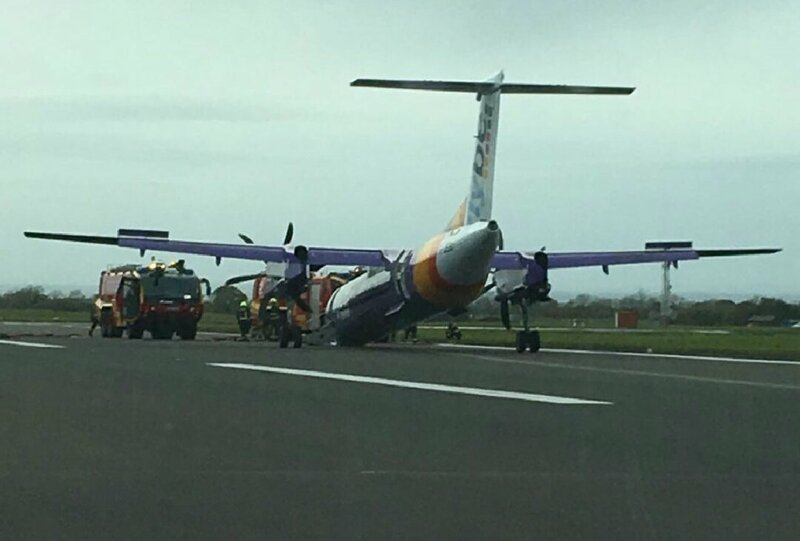 A FlyBe Bombardier Q-400 made a dramatic emergency landing today at Belfast International Airport at 1.2-0pm this afternoon following a nose gear problem. 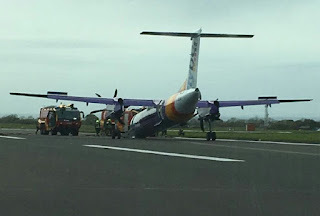 There were 56 people were on board the flight, BE331 that had departed from nearby Belfast City Airport at a little after 11am and was heading to Inverness. 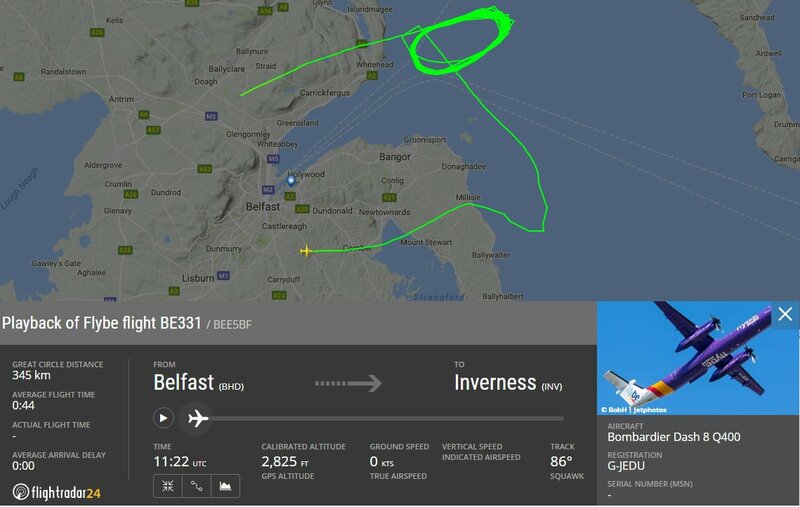 The aircraft then had to circle to burn off fuel for two hours before it could return to Belfast and attempt an emergency landing. Many people on monitored the unfolding situation as the aircraft circled off the coast of Northern Ireland during the morning and early afternoon, thanks to tracking radar portals such as FlightRadar24. 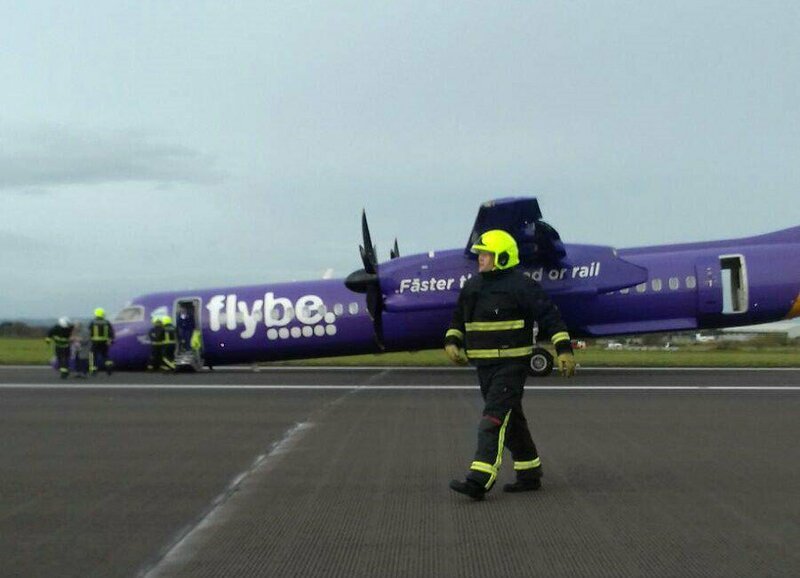 At this stage, it unclear why the nose gear developed an issue and was not deployed and FlyBe confirmed in a statement that one passenger had been taken to hospital with a minor hand injury. 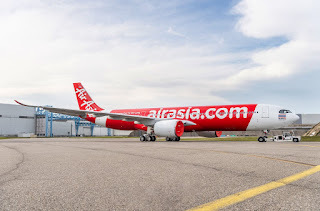 The airline sent a specialist team to the airport to assist passengers and investigate the incident further. Images from Belfast International Airport on social media show the aircraft nose tipped forward on the runway, some with fire service vehicles nearby. 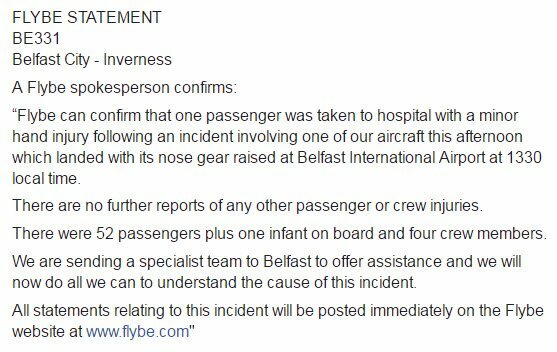 The CAA is investigating the incident.